As noted in a previous post, I am in the process of going lighter with my gear. At this point I have lightened my load considerably from when I first started out by changing out gear for lighter and smaller gear, but also from just dropping things that I do not need all together. Now that my gear has changed, it is time to get a new pack, one that is a little smaller, but also lighter than my current pack. So, what I went with is obvious (from the title), the ULA Circuit. 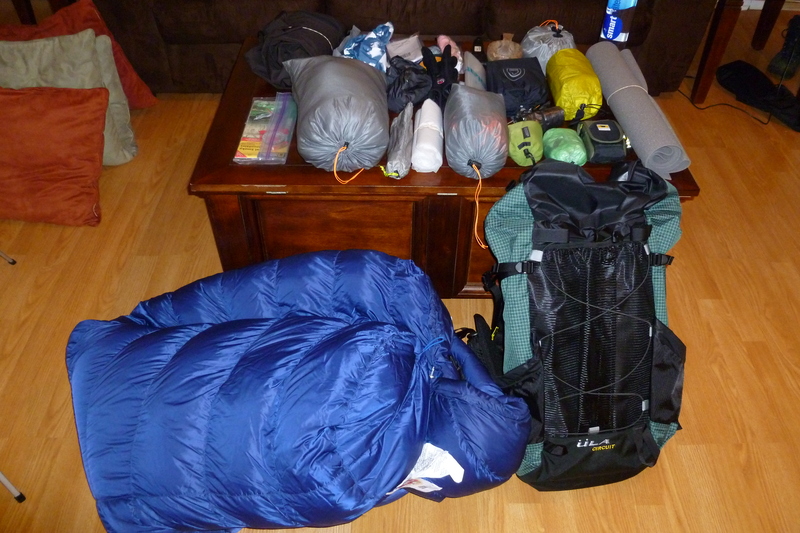 It is 1400 cubic inches smaller than my other pack (the Kelty Red Cloud 5600) as well as a whopping 3 pounds lighter! This entry was posted in Backpacks, Gear and tagged light weight backpacking, ULA Circuit. Bookmark the permalink. Which size hip-belt did you end up going with? I went with the size large. I am planning an overnight trip in May with my son so I will be carrying the Circuit on that trip rather than my Blast pack (or my new Zero pack that I ordered yesterday!) Anyway, I will add some video about the Circuit pack then. Thanks! I am leaning towards getting a ULA Circuit and your video reviews have been a huge help.